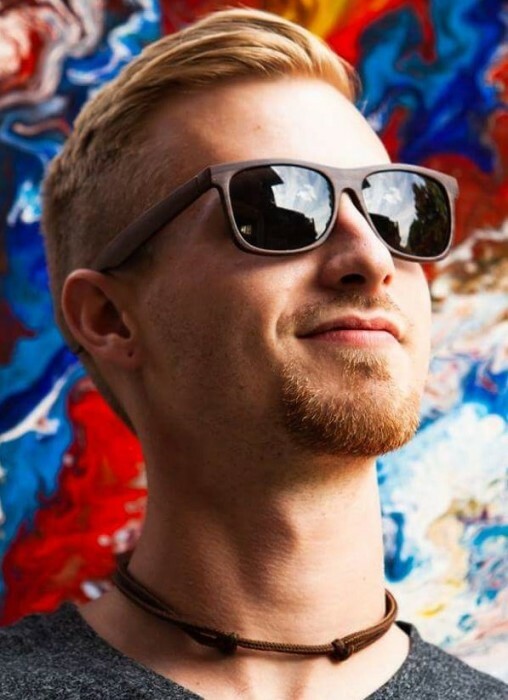 Obituary for Gary Demetre Josebeck | C Richard McCauley Funeral Home Inc.
Gary Demetre Josebeck, 26, the artist, activist and advocate behind Art for recovery and transformation passed away on Wednesday July 4, 2018. Gary (or Demetre, as he was known in the art community) lost his battle with the demons of substance abuse. He was kind, passionate and hard working. No matter how difficult his own personal struggle became, he continued to remain active in the Recovery Community in order to help as many others as he could in overcoming addiction. It is our hope that his vision of transformation through art will live on in those he inspired. He was born June 4, 1992 to Gary Daniel Josebeck of Greensburg and Toni Lynn Antonucci of Greensburg in Hampton, Virginia. In addition to his parents, Gary is survived by his two older brother, Robert W Josebeck (Jennifer)- Jeannette and Zachary T Josebeck (Fiance Ashley Lamanna)- Wexford. his grandparents Robert and Linda Antonucci- Sarver; Margaret Beasley- Atlanta; his great-grandmother Elizabeth Lubiniecki- Freeport; his nieces and nephews and numorous aunts, uncles and cousins. Friends will be recieved Saturday July 7 from 6-8 Pm and Sunday July 8 from 2-4 & 6-8 Pm. at the C. Richard McCauley Funeral Home Inc. 101 S 4th St. Youngwood. Services will be held 9:30 am Monday July 9 at the Blessed Sacrament Cathedral 300 N Main St. Greensburg with Rev. Msgr. Raymond E. Riffle officiating. Family sugguests memorial contributions to Sage's Army P.O. Box 156 Westmoreland City Pa. 15692.